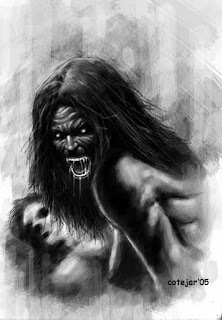 Aswang is a collective term for the "mythological" human flesh-eating creatures of the Philippines. During daytime they are human, but when the night comes, they transform into something else. They may feed on fresh human blood, fresh liver and heart or human corpses. Predators of humans in short, some scavengers. Believed to possess supernatural powers, each type of aswang has unique skills to get their prey which I will tell on other articles I will write. 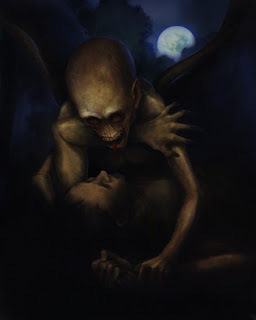 It has been said that there are several ways to become an aswang. There are certain ways to "make" a person an aswang by following certain rituals, like the use of fertilized eggs at a cemetery on Good Friday while reciting an oracion. Another way is by "inheriting" from a dying aswang wherein something gets transferred to a new willing host. One can also become an aswang by eating food with an old aswang's saliva or bits of human flesh. Lastly, one can become an aswang by if nanay and/or tatay is one. There is more to talk about, so much more that our rich culture has to tell. The reason I start writing about these articles is not to awaken the fear that once infected our minds, nor am I to disprove that such beings do not exist. These folk stories, no matter if they are a figment of our ancestor's imaginations or true accounts of close encounters, has strong cultural values that each and every Filipino should acknowledge. I'm not out to look for the truth. I'm just after showing everyone that knowing these things is very Pinoy.